Come on out, Ohio for the CAUSE Conference, hosted by Equality Ohio and the Columbus College of Art and Design! 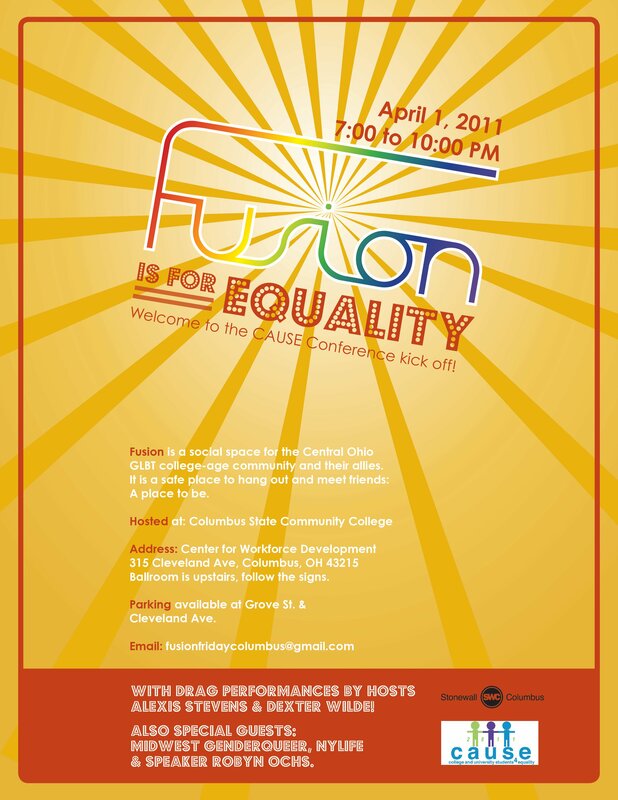 And, for a bonus, Columbus’ queer youth even, Fusion Friday is jumping on board to throw a party! And at that party, I’m producing a drag show! Then come to the conference tomorrow for lots of cool workshops, including two by me on all kinds of cool transy topics. Lots going on here, lots of layers. Be there!